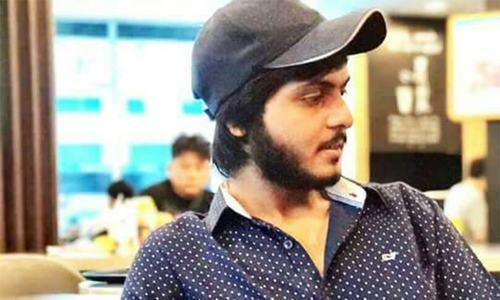 The joint investigation team (JIT), investigating the murder of expatriate student Intizar Ahmed at the hands of Anti-Car Lifting Cell (ACLC) officials in Karachi, has recommended criminal proceedings against all eight policemen involved in the incident, Dawn learned on Monday. Intizar was a Malaysia-based student who had returned to Pakistan to spend holidays. On January 13 He was in his car with a female friend when police in plainclothes had signalled him to stop. When he had failed to oblige, he was chased and gunned down in Defence Housing Authority. The friend had managed to escape unscathed. The JIT called the episode a result of sheer non-professionalism on the part of ACLC policemen and recommended that authorities should design Standard Operating Procedures (SOPs) to conduct snap-checking on streets and roads by law-enforcement agencies so that such events should be avoided in future. “JIT is of the opinion that the incident occurred due to stopping of Intizar’s car in a highly unprofessional manner by ACLC team dressed in plainclothes, who were riding unmarked vehicles without any police identification,” read the report. The report, however, pointed out that so far the JIT could not find any ‘specific’ motive behind this incident. “It appears cold-blooded rash and negligent killing by police officials in plainclothes,” the report said. The JIT recommended that the eight police officials should be charged for their criminal act of merciless and cold-blooded killing of Intezar in a rash and negligent act, and not rescuing him after the firing incident. However, the report pointed out that name of one head constable should be placed in Column No. 2 of the charge sheet in blue ink as he was not present at the place of the incident when the firing took place. The JIT also recommended strict departmental action against the involved police officials. The team suggested that Inspector General of Sindh Police A.D Khowaja should look into the role of supervisory officers, including the then SSP ACLC Muqudas Haider and the DSP ACLC for their “failure to implement the deployment order issued for checking of vehicles in DHA area”. The JIT, in its finding, also observed that the viral video of Madiha Kiyani, who was accompanying Intizar when the incident occurred, was recorded at the residence of Asif Khudai Advocate where one Kazim Shah made Madiha record this statement under “influence of drugs”. Madiha later retracted her statement. The JIT — led by Additional Inspector General of the Counter-terrorism Department, Dr Sanaullah Abbasi and comprising representatives of Rangers and intelligence agencies — pointed out that the entire police party of ACLC was in plainclothes, contrary to the SOP issued by SSP ACLC in shape of a written deployment order. The report says that Bilal and Daniyal fired at the vehicle and evidence conclusively suggests that PC Bilal’s bullet hit Intezar and killed him. “Examination of the vehicle shows that there are three bullet marks, and two bullet scratch marks on the right side of the vehicle due to ricochet of the bullet from the road,” the report says, adding that 18 empty bullet shells were recovered from the crime scene. All eight weapons of ACLC officers were sent for forensic examination, along with the recovered 18 empties. Forensic examination shows that only two weapons were used in the incident, as 12 empties were fired from PC Bilal’s weapon and six were fired form PC Muhammad Daniyal’s weapon. After the incident, the entire police party fled from the incident scene. They should have stopped there and tried to evacuate the victim in an attempt to save his life. The JIT also pointed out that the allegations of any connection or relation between Madiha Kiyani, who was present with Intezar at the time of firing incident, and SSP Muqudas Haider were found to be incorrect and baseless.